If you are a current patient and you have a dental emergency, please text Dr. Truong at (832) 389-3638. Thank you. Thank you for visiting our website. 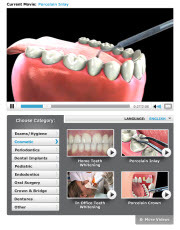 Please browse through or website to learn about the many dental services that we will be offering. If you would like to schedule an appointment feel free to use our appointment request form. We look forward to seeing you! When you visit our Baytown dental office, your smile is our top priority. Dr. Truong and his entire team are dedicated to providing you with the personalized, quality dental care that you deserve.